Specializing in all aspects of sports conditioning and training, our professional staff and trainers, train the athlete to reach their full potential. We give you the tools to dominate in ANY sport. 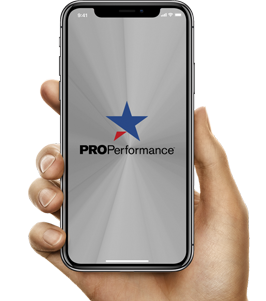 Pro Elite offers customized programs for individuals, groups and teams. We offer sport specific programs, camps, clinics, lessons and leagues for all ages and skill level. We cover the fundamentals of hitting, pitching, catching, infield play, outfield play, base running, team strategies and more. At Pro Performance, our goal is your goal—to help you become a highly skilled, competitive flag football player. At Pro Elite Soccer, we combine the physical and cognitive skills needed for you to be a competitive soccer player. The Pro Elite Softball staff can help you get the knowledge, skill and repetitions to become a better softball player. What does it take to be elite? Being elite means working smarter and harder. Pro offers elite athletic training on our indoor turf field at our Mylan Park location in which we cover the fundamentals of football, soccer, baseball, softball and more. Our Mylan Park location offers indoor turf, featuring a 50,000 square foot indoor turf arena with 90-foot ceilings. This facility can be utilized for any sport or indoor activity. Check out our turf calendar for availability. This location includes a 2,000 square foot group exercise studio, a new cycling studio, and an indoor 4,000 square foot turf area. The turf is used for Brazilian Jui Jitsu and Rock Steady Boxing. Pro organizes extensive league play for a variety of sports including for youth, high school and adult play.